Gross considers Arbus less in terms of her often mythologized biography—a “Sylvia Plath with a camera”—but rather looks at how her work resonates with significant photographic portraiture, art, social currents, theoretical positions, and literature of her times, from Robert Frank and Richard Avedon to Andy Warhol and Truman Capote. He shows how her incandescent photographs seem to literalize old notions of photography as trapping a layer of the subject’s soul within the frame of a picture. For Arbus, “auguries”—as in “Auguries of Innocence,” her 1963 photographic spread in Harper’s Bazaar—conveyed the idea that whoever was present in her photograph could attain legendary status. 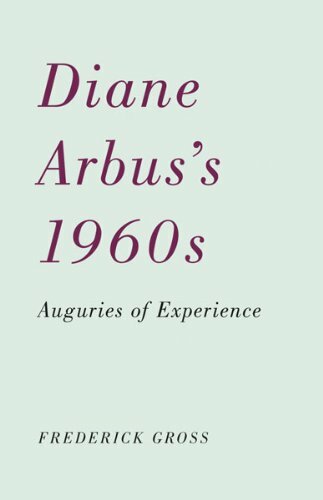 By shifting critical attention from the myths of Arbus’s biography to the mythmaking of her art, this book gives us a new, informed appreciation of one of the twentieth century’s most important photographers and a better understanding of the world in which she worked.